Welcome to the State of Pennsylvania Nurses Lounge! This Lounge provides a place for nursing news and info from around the state. As a follower of the Pennsylvania Nurses Lounge please feel free to post news and events and/or ask and give an answer to questions. The Pennsylvania Action Coalition (PA-AC) is a statewide coalition of nursing and non-nursing stakeholders endorsed by the Campaign for Action: Future of Nursing (a joint-initiative of the Robert Wood Johnson Foundation and AARP). PA-AC works to promote a healthy Pennsylvania through improvements in the quality, accessibility, and safety of nursing. These advances are the result of implementation of recommendations presented by the Institute of Medicine's (IOM)Future of Nursing report and through strategic partnerships throughout the state. The coalition is comprised of a diverse group of local, regional, and state-level stakeholders. These include individuals and organizations from healthcare facilities, academic institutions, nursing leadership organizations, for-profit organizations, non-profit organizations, and those generally interested in advancing nursing education and practice in the state of Pennsylvania. Carpenter Community Nursing Fellowship - $2000 Scholarship - Applications Due January 27. The National Nurse-led Care Consortium (NNCC), the Convenient Care Association (CCA), the E. Rhodes and Leona B. Carpenter Foundation, the Pennsylvania Action Coalition, and the Social Innovations Institute have partnered to offer an innovative and exciting competitive community nursing Fellowship opportunity for nursing students and recent graduates. See attached document for more information. Promise of Nursing for Pennsylvania Scholarships and Fellowships NOW AVAILABLE! The Pennsylvania Action Coalition (PA-AC) is thrilled to announce that scholarship applications are now being accepted for students pursuing BSN or BSN-completion degrees at nursing schools in Pennsylvania. Registered nurses completing graduate degrees in preparation to become nursing faculty are also eligible to apply for faculty fellowships. The Promise of Nursing for Pennsylvania funds will support students/nurses from traditionally underrepresented backgrounds, engaged in diversity nursing organizations, and committed to building a diverse and culturally competent workforce. The Promise of Nursing for Pennsylvania funds were raised through the Promise of Nursing Gala, which was held June 23, 2016, and organized by Johnson and Johnson and the PA-AC. Thank you to all who contributed to the success of the event and for your dedication to creating a diverse nursing workforce. We look forward to making these opportunities available to innovative students, scholars, and leaders who are advancing healthcare in PA. Welcome CVS Health to the Nurses Lounge! IT'S NOT TOO LATE TO REGISTER FOR OUR DIVERSITY CONFERENCE! Our "Pennsylvania's Healthcare Mosaic Conference" is THIS THURSDAY, OCTOBER 20TH! It's not too late to REGISTER- learn more below about our Group and Pre-licensed Student Rates. We are so excited that Candi Castleberry-Singleton, Founder and CEO of Dignity & Respect, Inc., and Dr. Lisa Lewis, Assistant Dean for Diveristy & Inclusivity of the University of Pennsylvania School of Nursing, will be two of our featured presenters! Both healthcare leaders are national change-makers who have made strides in advancing the health of ALL Pennsylvanians. Don't miss out on Candi Castleberry-Singleton's presentation: "Creating a Culture of Dignity and Respect"
Or Dr. Lisa Lewis' presentation: "Creating a Culture of We: Advancing the Health Equity Mission in One School of Nursing"
How does the "Bring a Friend" Pre-licensed Student Rate work? If you "Bring a Friend" you can purchase two individual tickets for the price of one! Email PaAction@nncc.us with the name of your friend (You both do not need to register, just one of you). If you are a student who has already purchased a ticket, please reach out to us with the name of a "friend" who will be joining you. 1. Discuss the concept of health equity and its relationship to health disparities. 2. Explain the relevance of cultural competence to the delivery of health care to vulnerable populations in the state of PA.
3. Apply evidence based culturally competent strategies within one's health care practice. 4. Disseminate the tools to incorporate evidence based culturally competent strategies in one's practice setting. Candi Castleberry Singleton, Founder and CEO of Dignity & Respect, Inc.
Reach out to PaAction@nncc.us with any questions and please share to your networks! Thank you for your support. We look forward to seeing you soon! CORRECTION: Our "Bring a Friend" Pre-Licensed Student Rate is available for $99! DISCOUNTED ROOM RATE ENDS TODAY for our Mosaics Conference! TODAY IS THE LAST DAY TO ENSURE A DISCOUNTED ROOM RATE! Rooms are still available if you are interested in accommodations. Please see the information provided below to BOOK TODAY AND SECURE YOUR RATE! Please make your reservations BY FRIDAY, OCTOBER 7TH. Vote for Mark Crider for PSNA President! Listen to a message from Mark. Nurse Faculty Loan Program Technical Assistance Webinar this WEDNESDAY! Join the HRSA Health Workforce Nurse Faculty Loan Program (NFLP) for a Technical Assistance Webinar on Wednesday, September 21st, from 1-3 PM EST. HRSA-17-066 is NOW OPEN on Grants.gov! Apply for the HRSA-17-066 NFLP- Accepting applications through November 14, 2016. 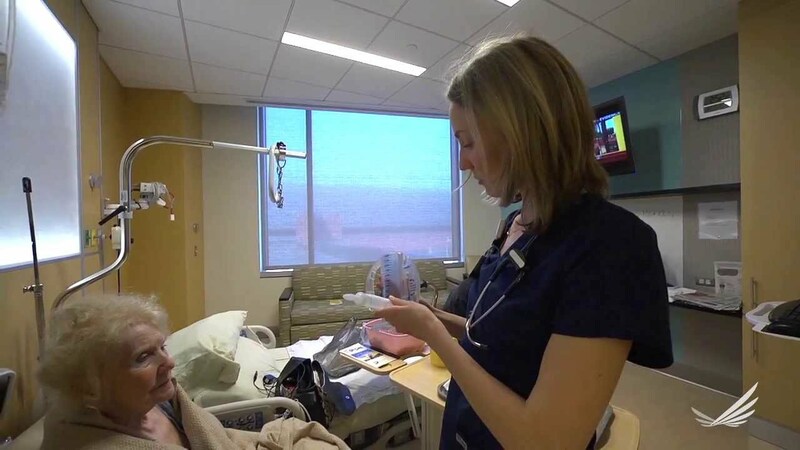 The purpose of NFLP is to increase the number of qualified nursing faculty to facilitate education of the nurses needed to address the nursing workforce shortage. The NFLP seeks to achieve this purpose by providing funding to schools of nursing to support the establishment and operation of a NFLP loan fund. Participating schools of nursing make loans from the fund to assist registered nurses in completing their graduate education to become qualified nurse faculty. The program offers partial loan forgiveness for borrowers that graduate and serve as full-time nursing faculty for the prescribed period of time. The loan recipients may cancel 85 percent of the loan over four years in return for serving full time as faculty in any accredited school of nursing. Eligible entities are accredited collegiate schools of nursing and other qualified academic programs offering eligible advanced master's and/or doctoral degree nursing education programs that will prepare students to teach. NFLP funds are awarded to institutions. Have any comments or suggestions for Nurses Lounge? We would love to hear from you. Our network provides nurse employers, schools and associations with the ability to create groups and successfully communicate news, announcements, and events seamlessly to their members. Nurses use our network to collaborate, exchange professional advice, and share new ideas. You are not logged-in. Login if you have already created an account, or sign-up as a new member so you can see all of the content, news, and info. As a Nurses Lounge member you can network with colleagues, build your professional profile, and share content!